“Hampton 70: A Celebration of Col. Bruce Hampton” will be held at Atlanta’s Fox Theatre on Monday, May 1 in honor of the legendary Georgia musician’s 70th birthday. An all-star lineup of musicians including members of Widespread Panic, Phish, R.E.M. and many more will take the stage to pay tribute to the music and life surrealist musician and icon. Tickets sold out almost immediately when the concert was announced but nugs.net will live stream the concert at http://nugs.tv. Scheduled to appear at “Hampton 70: A Celebration of Col. Bruce Hampton” are Widespread Panic members John Bell, Dave Schools, Duane Trucks and Jimmy Herring, Peter Buck of R.E.M, steel-guitar-man Darick Campbell, renowned saxophone player Karl Denson, Drew Emmitt and Vince Herman of Leftover Salmon, Jon Fishman of Phish, banjo-shredder Rev. Jeff Mosier, guitar god Warren Haynes, Drivin’ N Cryin’ front man Kevn Kinney, Atlanta jazz-staple Johnny Knapp, Chuck Leavell of The Allman Brothers Band and The Rolling Stones, Athens rock-troubadour T. Hardy Morris, 13-year old guitar prodigy Brandon Niederauer, John Popper of Blues Traveler, funk bassist Kevin Scott, keyboardist Matt Slocum, Denny Walley of Frank Zappa fame, gypsymetal guitarist Emil Werstler, Oliver Wood of The Wood Brothers, the Colonel’s Sling Blade costar and Oscar- award winning actor Billy Bob Thornton plus Cy Young winner Jake Peavy, and more special guests to be announced soon (lineup subject to change). 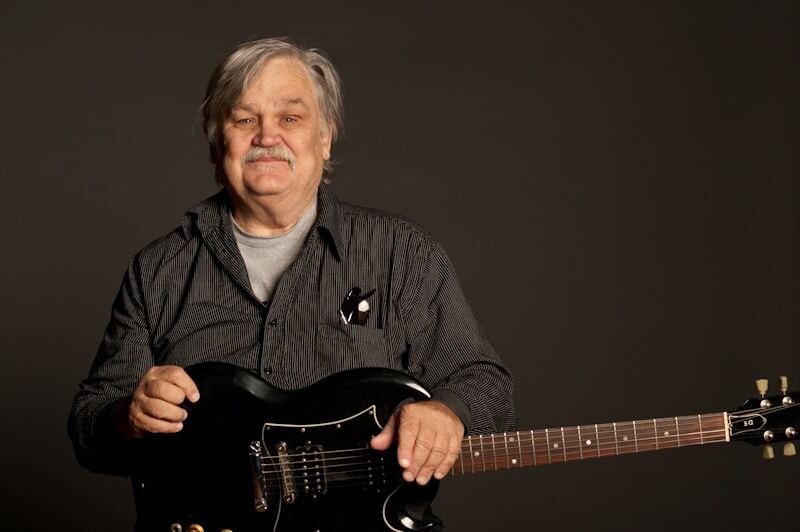 Fondly called the “Granddaddy of the Jam Scene” for decades, Col. Bruce Hampton is a legend in jam music whose impact on the scene is insurmountable. From his beginnings with the groundbreaking avant-garde group the Hampton Grease Band to the seminal Aquarium Rescue Unit, his idiosyncratic blend of improvisational space rock has an influence that reaches far beyond Atlanta’s music clubs. He is one of live jam music’s most recognizable and respected players and this event will see many of his frequent collaborators and friends joining to honor his life and achievements. The Fox Theatre Institute (FTI) is a multi-layered outreach program created by the Fox Theatre to support Georgia’s arts community with a “pay it forward” philosophy. FTI programs include Fox in a Box, an interactive in-school program, Georgia Presenters, a statewide booking consortium, and the much-heralded Preservation Grant Program, which encourages the preservation of historic theatres by providing grant funds for the maintenance and physical improvement of theatres throughout the region. Grants are awarded to projects that provide significant economic and cultural impact to the communities they serve. Grant award winners also receive operations expertise and guidance through seminars and strategic planning, fostering professional development. For the past nine years, the Fox Theatre Institute has supported 15 preservation projects totaling more than $360,000 in grants; such recipients include the Miller Theater (Augusta), Douglass Theatre (Macon), Morton Theatre (Athens) and the Plaza Theatre (Atlanta). In 2017, the Fox Theatre will announce a revamped FTI program to include a dynamic grant award system with multifaceted opportunities for cultural centers to receive substantial financial assistance. For more information on FTI, please visit FoxTheatreInstitute.org. The Georgia Music Foundation is proud to provide support for “Hampton 70: A Celebration of Col. Bruce Hampton.” For more info, please visit FoxTheatre.org/Hampton70.